Devices for measuring effects of magnetic hyperthermia are among highly specialized equipment. 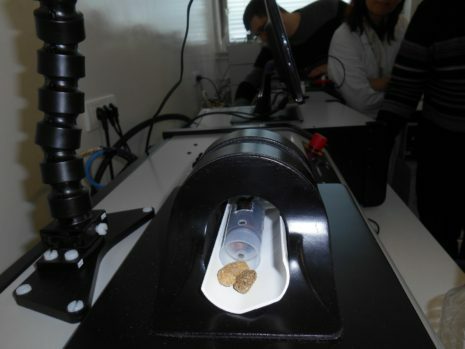 The device in th Vinca Institute was purchased from Nanoscale Biomagnetics from Spain. 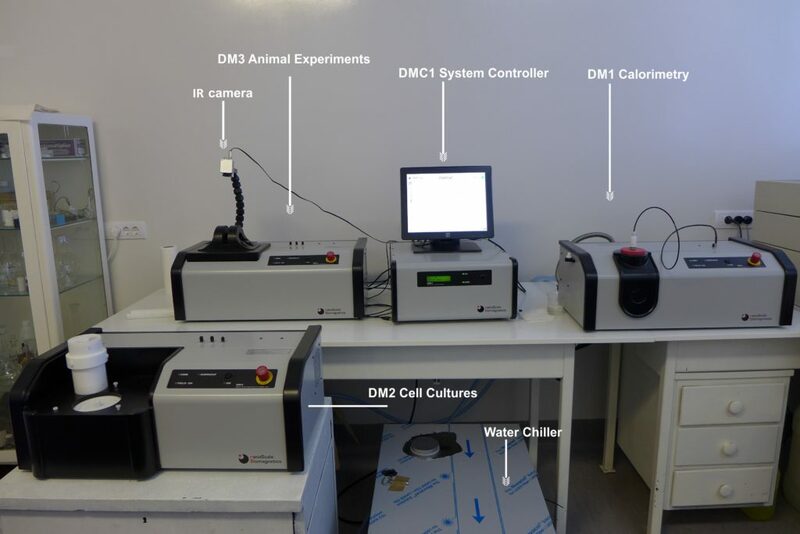 It is composed of three distinct modules aimed for calorimetric measurements (DM1), in vitro experiments on cell cultures (DM2) and in vivo experiments on animal models (DM3). The design incorporates one central controlling unit, which can be attached with either of three modules at the time.The installation took place between February 15th and 18th 2016. The DM1 module can apply AC magnetic field up to 30 mT at seven different frequencies between 250 and 810 kHz. It is designed for work with small amount (0.5-1.5 ml) of ferrofluid samples. Vacuum shield ensures thermal insulation necessary for calorimetric measurements. The DM2 module has larger work coil, suitable for work with cell cultures in Petri dish. Additionally, with vacuum shield insert, it can be used for calorimetric measurements. Four frequencies between 80 and 230 kHz, and field up to 30 mT are available. 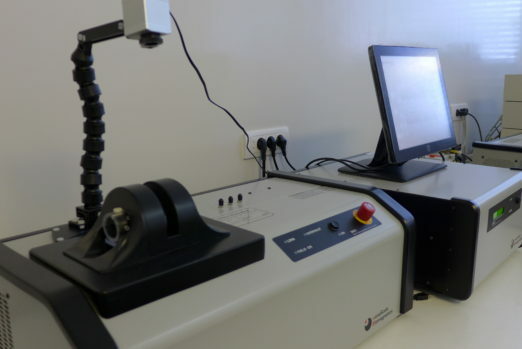 The temperature of the cell culture can be monitored by IR camera. The DM3 module is designed for applications on rodents. It has large coil and IR camera system for monitoring of animal’s surface temperature. Four frequencies between 80 and 230 kHz, and field up to 30 mT are available.